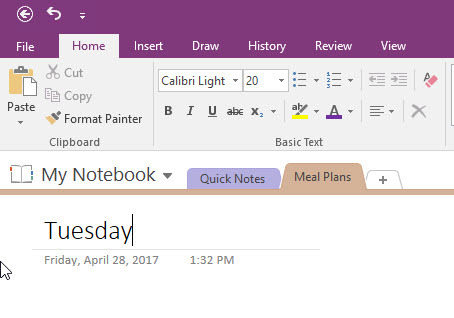 How to add text to a notebook in OneNote. 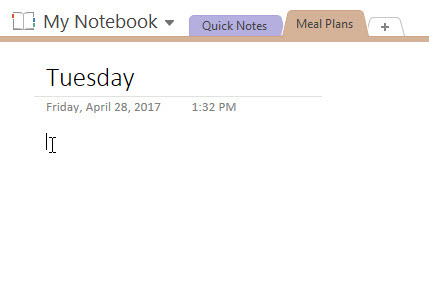 This article shows OneNote 2016, but the process works the same in OneNote 2013. Step 1:Open the notebook, section, and page to which you want to add text. Place the cursor where you would like to start typing. 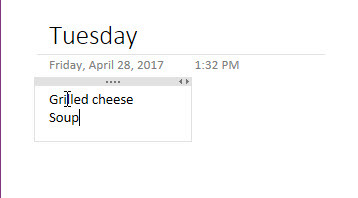 Click once to bring up the text box. Begin to add your text as you would in any other text editor. 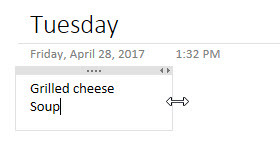 To make the text box bigger, click in the text box and point to the right side. The cursor will become an arrow. Click, hold, and drag the box to the desired size. Step 5:To move the text box, point to the gray bar at the top of the box. The cursor will become a 4-headed arrow. Click, hold, and drag the box to the new location.